Food insecurity is extremely prevalent among the poverty-ridden townships of Southern Africa. Food is scarce and nutritious food practically unobtainable in the township areas. Thus emerged our Garden in a Bag: a sustainable, transportable garden that provides nutritious vegetables on only one cup of water a day. Our goal with the Garden in a Bag project is to provide each one of our disciple makers with access to fresh vegetables and also equip them to look after the widows and orphans in their area by giving them the supplies and training on how to grow and maintain their own Garden in a Bag. One of our disciple makers learned about Angela, a widow who had taken 14 children into her meager home that was basically a shack made of cardboard and rags. She shared all she had with the suffering children, but struggled to feed each of them even a small portion of maize each day. When we delivered the Garden in a Bag to Angela, she was overcome with emotion. She wanted to learn every detail about mainlining her new garden and got all 14 of her children involved in the process. She was so thankful to have something she could manage by herself that could literally save the lives of her children. 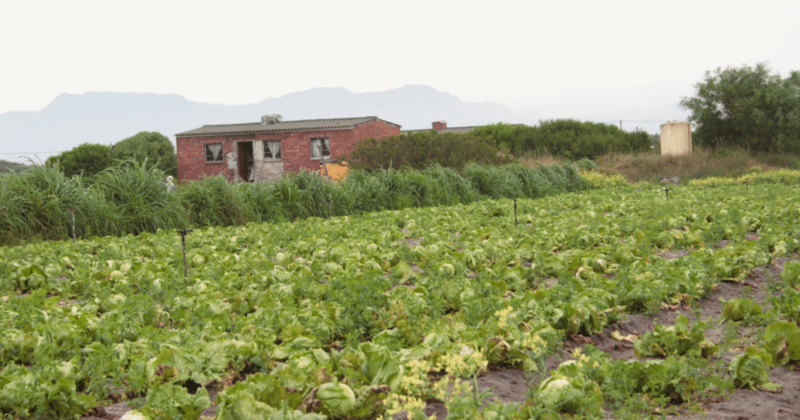 One of the most memorable Garden in a Bag deliveries took place in a poverty stricken township in Southern Africa where a frail, old lady named Mutia* lived in a small mud hut taking care of two young aids orphans. Even though Mutia had no source of income to support herself, she had taken in the children, as the thought of them completely on their own was unbearable for her. Each day was a struggle to find food and water; the nearest water source was over a kilometer away. Since Mutia could hardly walk and was not strong enough to carry any weight, the children were responsible for bringing water back to the hut each day. They could not physically carry enough water to care for a garden so they lived off a small amount of maize each day – a diet void of nutrition, but it was the best Mutia could offer them. When we explained that the Garden in a Bag only needed 2 liters of water per day to flourish and would provide her vegetables for a year, relief flooded her eyes. The concept that she could provide nutritious vegetables for the children and that they would have the opportunity to be healthy was completely overwhelming. After composing herself Mutia was determined to express her gratitude. She struggled to her feet, with a cane in one hand and her children supporting her other hand, she managed to walk us all the way back to our vehicle, expressing her thanks over and over again with tears in her eyes. Delivering the Garden in a Bag is such a joyful experience, but the truth is that there are thousands of families who are still in desperate need of a sustainable source of nutrition. By making a donation today of just $25.00 – you can help provide nutritious vegetables for a family for a year by giving them a Garden in a Bag.